It’s that time again! Good Luck! Wow! What a great giveaway!!! I love the fall and winter scents. Anything cinnamon for me; cinnamon bear, Christmas cottage and that new cranberry garland sounds wonderful. I would love to send my brother a warmer. He’s serving overseas right now and I’m sure a scentsy would boost him up. Warm wishes!! Scentsy is by far the best there is around . 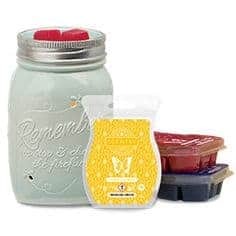 I love the scents and the warmers are by far the best in town until can leave them.on 24/7 and they not hurt a thing and the wax will not burn you if u touch it . OMygoodness, if the lumina pumpkin is on the giveaway and I just happen to win … well that would be fab! Pumpkin Roll, Salted Caramel and if Peppermint Dreams is still around it is wonderful. God Bless your business. The acorn warmer is sweet, but really love the firefly warmer. As far as scents go anything Vanilla, Chocolate/Mocha or Cinnamon works for me … there use to be a sugar cookie scent that was absolutely devine. I would love any fall warmer and 3 pumpkin spice bars. Love pumpkin spice scent!! Coconut Pumpkin Pie, & Marshmallow Mint are my favorite fall scents !! Hello, thanks for this wonderful giveaway! All I’d request would be dark colors w/heavy floral scents. Be safe, take care, “GOD Bless”, sincerely Randy. I’d love any of the fall warmers or tarts! Scents is my favorite!!! I absolutely love the Reimagine warmer! With the whipped vanilla pear, sweat pea and vanilla, and mystery man. I am a college student and never am very lucky with contests. Thank you, this is very exciting! I would love to try all of the Fall scents!!! 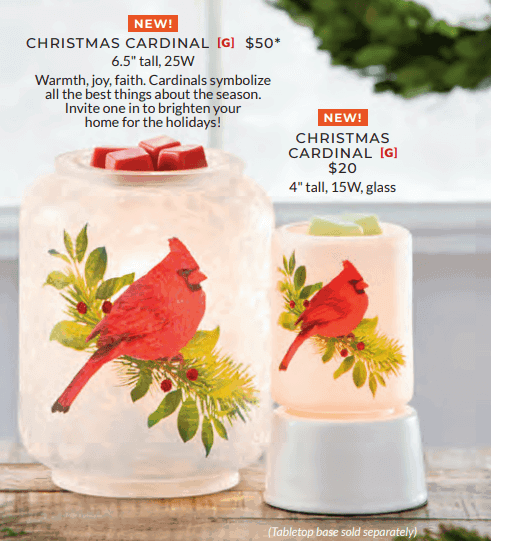 I would love the lumina warmer, perfect for fall! And I Would pick out cinnamon bear, cider mill, and Apple crush for my scents! it would be so nice to win.. I like the vanilla scents . also the lavender s. thank you for this opportunity. I’D LOVE the Charmer warmer & the bonfire beach and candied pomegranate scents. Thanks so much for the chance to win! I love all things Scentsy!! I would love the hocus pocus warmer if I win. Scents are hard to choose but I think autumn sunrise, honey pear cider, and whipped vanilla pear…. What fun!!! A Parlor warmer and for scents I would like the Sugar Cookie, Cinnamon Vanilla and Chocolate Coconut. Thank you for this sweet treat! I love the lumina pumpkin and any vanilla or cinnamon scents. I’m in love with all the fall warmers! Fall is my favorite time of year and my favorite scents! I would love to win something like this for my birthday coming up on October. I am so ready for all Fall scents!! If I were to win, I would love to have the Lumina warmer, and as far as scents go, I would like the pumpkin marshmallow, cozy fireside, and autumn sunrise. My wife has a birthday coming up and this would be a perfect gift for her. Hi Trista, Thank you so much for all your hard work and for keeping me up to date with all the latest and greatest that Scentsy has to offer. I’ve tried to order from others from my home state and no one does a better job than you so again, I can’t thank you enough! Looks like I need to stock up on some fall and winter scents. There are lots of yummy scents out that I have to have. 🙂 This contest is wonderful! If I win I would love the Maple Leaf warmer and for scents I would like the Honey Pear Cider, Cinnamon Vanilla and Chocolate Coconut. Love the new warmers!! I am in love with the roller skates and the teacup! i would love to win the acorn warmer with the pumkin roll, chocolate coconut and white birch scents. I am in love with Scentsy it is amazing! I love the new Chasing Firefly’s warmer , It’s so hard to narrow the bars down to 3 I love so many of them. I think my favorite fall bars are Very Snowy Spruce, Autumn Sunrise, and Everything Nice! Thank you so much for giving us this opportunity! I wish my local consultant would do things like this! I haven’t tried the scentsy collection before. Any warmer would be fabulous . I love country and rustic looks. Anything warm and comforting too smell is great as well! Hocus Pocus & Pumpkin Marshmallow please! I would love one of your FALL candles!! Oodles of orange and simply cinnamon please!